June 1, 2011: My introduction to the passion of Brandi Carlile. Having been familiar with her music, I finally had the chance to see Carlile live as my wife and I had tickets to see one of our favorite artists, Ray LaMontagne. The night couldn’t have been drawn-up any better. A perfect Wednesday setting at the Bank of America Pavilion (now Blue Hills Pavilion) along the Boston Harbor, with a bill that paired two moving artists. Music that came straight from the soul, that meant something and furthermore, left you feeling full of spirit. As Carlile wrapped up her set she mentioned she would be hanging around the venue afterwards. She suggested, “Come say hi,…. BUT I’m sorry, while Ray LaMontagne is playing, I will be off the grid soaking in every moment of his performance.” Though the tour was already seven stops deep, Carlile explained how she cherished every moment of getting to share the stage with LaMontagne and would make a point to get submersed in the opportunity. I truly admired her appreciation. Just as LaMontagne and the Pariah Dogs were to take the stage the sky opened into a thunderous downpour that delayed the show about 45 minutes. Everyone was instructed to cram in under the tent. Nobody seemed to mind. Carlile’s words, lyrics and emotions had set such a stunning tone that each person in the house accepted the weather as part of the experience. From that night on, I was fascinated by Carlile’s approach — one that is laced with honesty, intrigue and a burning desire to make a difference. In 2008, Carlile established the Looking Out Foundation, a 501(c)(3) organization, that provides financial support to causes that she believes in. Some of the main causes addressed include those focused on the arts, community development, women, health, education, the environment, human and civil rights. One dollar from every ticket Carlile sells goes towards her foundation. Among some of their accomplishments to date; grants have been awarded to Reverb, the American Diabetes Association, and Honor the Earth. With the Fight the Fear campaign, Looking Out partnered with The Wave Foundation in the greater Seattle community, in an effort to provide training, education and resources regarding violence prevention. The IF project is another educational cause that provides insight from inmates as to how they ended up where they are and what could have been said or done to prevent it. The music — Cover Stories consists of the 14 tracks from Carlile’s 2007 record, The Story, that were all re-done by other artists — an incredibly unique concept. And then … you have to have the guts to ask the other musicians if they would be interested in covering and recording your song. They all believed in Carlile and subscribed to her vision where the proceeds would go to War Child. The result? We get 14 older tracks made brand new again. Each Cover Stories version is completely different from the original Carlile track and in the style of the artist who recreated it, resulting in a record covering folk, country, rock, pop, R&B, singer-songwriter and punk genres. “Being a girl from Seattle and hearing Ed [Vedder] singing my lyrics was pretty crazy,” Carlile told Rolling Stone. For the artist, the opportunity presented a unique challenge in songwriting — to make a folk-laced Carlile song their own. “The band guys were all super enthusiastic when I told them about the War Child benefit project, and [band member] Matt Cameron has been a longtime supporter of War Child. Ed [Vedder] suggested that ‘Again Today’ could be done in a Ramones-type fashion,” explained Pearl Jam guitarist, Mike McCready. There’s no substitution for being genuine. Again today, we see Carlile leading the way in the activism space with Cover Stories benefiting War Child — an amazing organization that gives children in dangerous war zones the opportunity to start over. “We knew we wanted to take the 10th anniversary of the record and completely dedicate it to the refugee crisis in some way, so we looked up War Child to see what they were doing, and they had a campaign called ‘The Story”. We took that as a sign, so we contacted them and asked them if they’d support us in supporting them, and they did,” she explained. All proceeds will help War Child’s efforts to support and protect children and their families. Each month the Looking Out Foundation will be showcasing individuals they connect with through War Child, giving them the opportunity to tell their story and to raise money to help them. 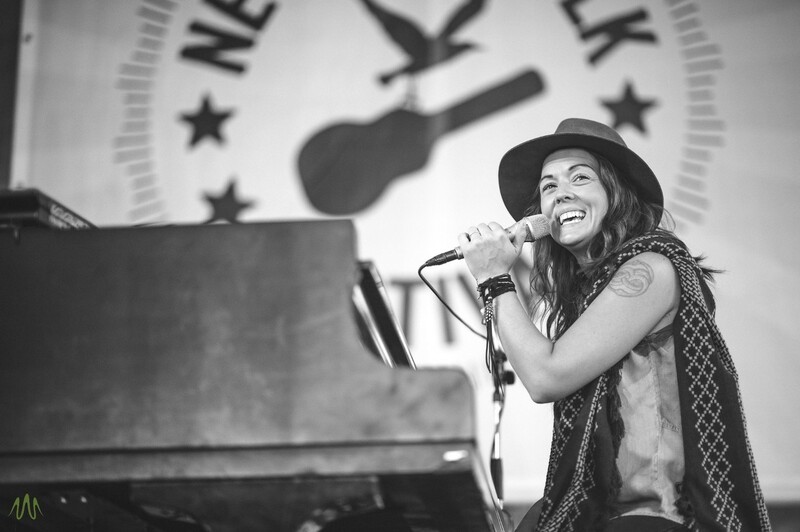 Catch Brandi Carlile on tour starting August 25th in Arrington, VA.